JOIN US FOR A FUN SHOW! John Medeiros studied acting at UCSB where he received a BFA in Theatre. 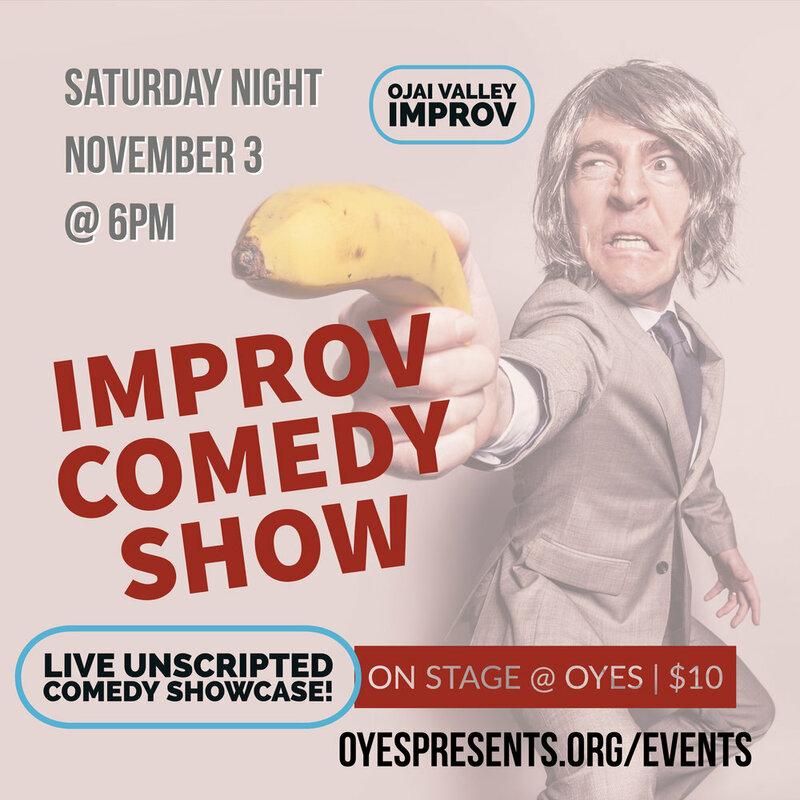 With over 20 years of experience in acting and improv (and a student of improv at The Groundlings, Ventura Improv Co., LA Theatre Sports) John offers a variety of skilled improv techniques and theories. With OYES, John teaches youth improv, acting, and dialects. In addition to teaching, John has performed in over 35 stage productions, numerous commercials, films, voiceovers, and other media projects -- and directed numerous stage productions including Animal Crackers and Jacob Marley's Christmas Carol for Ojai's Art Center Theatre. Actors: Learn improvisational techniques often used to train you for stage, film, and television performances. Through the use of theatre games and exercises, Improv helps to define your creative voice, stimulate your mind, relieve stress, lighten the heart and strengthen the funny bones! Join us in the art of spontaneous creativity and storytelling.